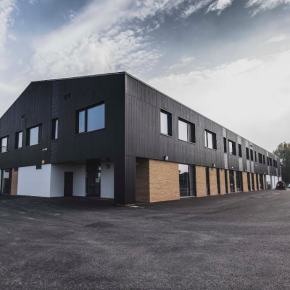 The UK paint manufacturer is bringing a satin finish to its popular Crown Trade Fastflow range. Crown Trade Fastflow has quickly become the ideal choice for low odour and quick drying products, since its launch two years ago. 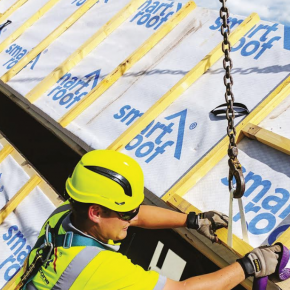 Due to its advanced water based technology, Crown Trade Fastflow Quick Dry Satin offers the characteristics of a traditional solvent based product with the benefits of a water based formulation. 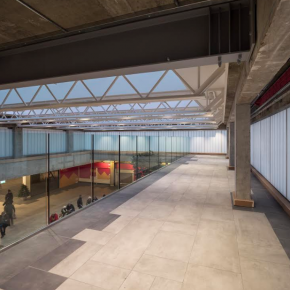 In addition, the product therefore has a highly professional, contemporary finish, fast drying performance as well as being low in odour and goes yellow slower in comparison to traditional alkyd systems. Two coats of the paint can be applied in one day, thanks to its fast-drying qualities. Consequently, time and labour costs are reduced. It has also been manufactured to Crown’s renowned Breatheasy formulation, meaning it is 99 per cent solvent free. 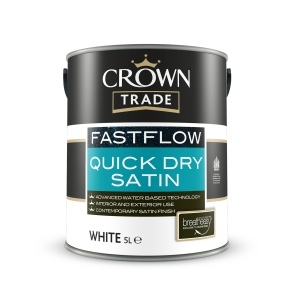 Following the launch of Crown Trade Fastflow Quick Dry Gloss and Quick Dry Primer Undercoat in 2015, Crown Trade Fastflow Quick Dry Satin comes to the market. 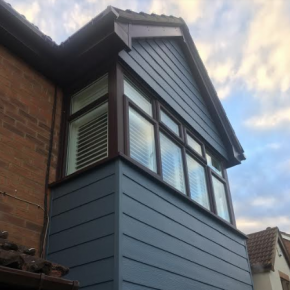 Crown Trade Brand Manager, Sharon Smith said research and development was heavily invested in to offer the trade the right paint for the job for both indoor and outdoor use, setting the pace for the future in terms of style, speed, substance and sustainability.